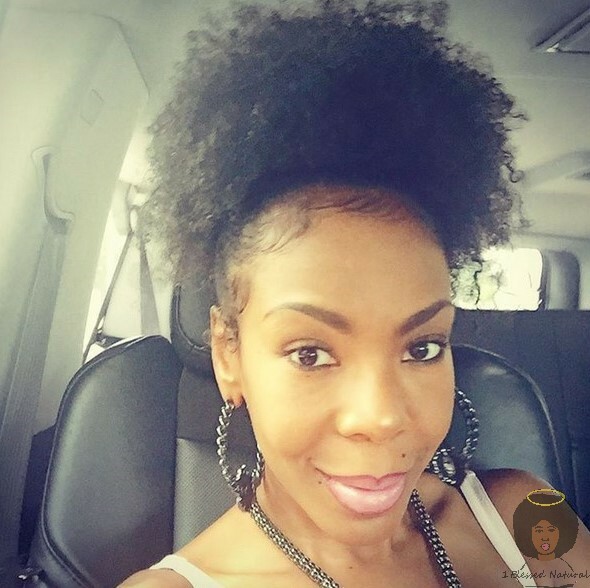 Drea Kelly Challenges Brown Girls to Rock Their Natural Hair! I don't know how I missed it, but Drea Kelly challenged all the brown girls to rock their natural hair on Instagram! The 42-year-old posted a picture and video of herself wearing a pretty curly puff. Her caption was this: Where all my #brown #girls rocking the #naturalhair at? COME ON PUFFS! Send me some pics #DREAmers 💜 ya'll. Many fans responded to Kelly's challenge by tagging her in posts to see their hair. Others talked about how much they were inspired by her posts. The Hollywood Exes star's reasons for revealing her natural hair was to inspire other brown girls and women to rock theirs. She said, "Show your pretty coils and curls!" The dance instructor also said she did have some shrinkage but was loving her look and urged others to rock their shrinkage. Her video was cute, funny, and one of the best natural hair commercials! LOL Go Drea! You can check her video out below! What do you think of Drea Kelmly's natural hair challenge?